Dynamite duo Dan Baraszu and David Ellington have teamed up for an explosive eponymous debut album. With live wire Marlon Patton on drums, this band is raising eyebrows in the Atlanta area. Hammond B-3 superstar Dave Ellington moved to Atlanta, GA in 2005 after 22 years in New Orleans playing and recording with dozens of acts including Walter "Wolfman" Washington and the late gospel and blues great Marva Wright. While in New Orleans he studied with Ellis Marsalis and created Chevere, an afro-Cuban jazz project. Their release entitled, "Baila Mi Ritmo" was chosen by Times Picayune music critic Keith Spera as one of the 'Top 20 recordings' of 2001. Since Hurricane Katrina, Ellington has spent time in Atlanta gigging with numerous jazz, blues and soul outfits while working on the Organ Trio. Rising jazz guitar dynamo Dan Baraszu had been burning up the Atlanta jazz scene since graduation from Berklee College of Music and The University of Miami and now Jazz Guitar Professor at Emory University. While versed in many styles, Baraszu found his love for jazz at a young age when he discovered Wes Montgomery. Since arriving in Atlanta, he has freelanced for the top jazz players in town and once Ellington arrived, they just seemed to find each other. ”B3 Organ and guitar have always been such a great combination. Something about the sustain of the organ and the percussiveness attack of the guitar are very complimentary. I have always wanted to play with a cat like Dave that knows the tradition but also strives to push the music forward into new realms”, says Baraszu. 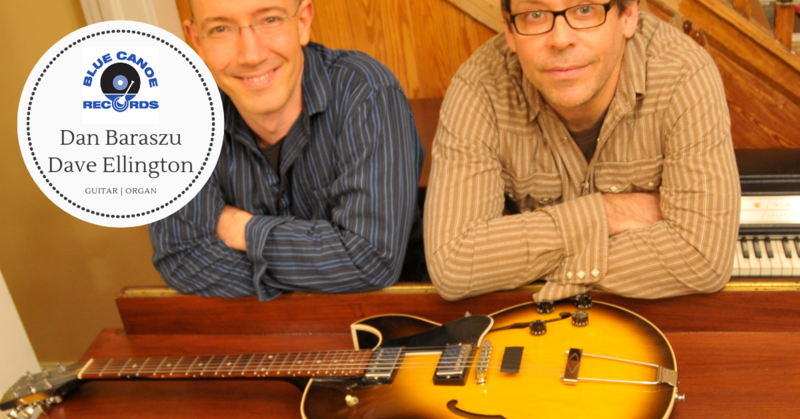 Since connecting, the dynamic duo have combined in numerous configurations but none felt as satisfying as the Organ Trio. “I love what happens when we play together (in the organ trio format); the sound, the vibe, the songs - everything!” informs Ellington. 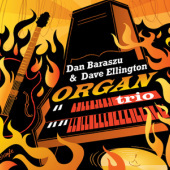 "Dan Baraszu & David Ellington Organ Trio" is a rollercoaster of jazz, funk and soul that will please a diverse listening audience and leave the listener anxious for more. This is a trio to watch in 2014 and beyond.